The Thermigen RF laser machine is a market-leader in delivering powerful, yet safe skin treatments with noticeable results. The Thermigen utilizes 2 specialized radio frequency handsets, including one for swing frequency body treatments and another for high impact body treatments. Offering a safe, painless way to get rid of cellulite, reduce overall size, get rid of stretch marks and reduce signs of aging on the face and body, the Thermigen is a powerful multi-purpose tool that can definitely have an impact on your practice. If you’re looking for a non-invasive cosmetic option for your patients, the Thermigen RF is a dependable and proven choice. The powerful system delivers safe yet highly effective radio frequencies that are targeted throughout the different layers of the skin. This clinically-proven laser treatment delivers an all-in-one experience that any aesthetic medical practice will appreciate. 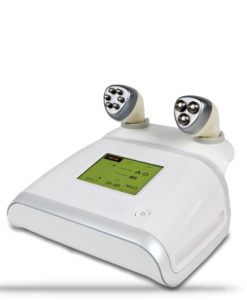 With a low initial investment, faster treatment times, and a cost-effective platform for offering multiple treatments, the Thermigen RF laser has the technology and smart design that cosmetic professional require. Get more control and enjoy a more consistent experience with the Thermigen RF. When you need a high powered laser treatment machine that delivers the results that your patients want the most, the Thermigen RF is an excellent choice. With it’s superior performance over other body contouring machines on the market, the Thermigen is a step above the rest. Interested in adding the Thermigen RF laser system to your practice? The Thermigen RF is the perfect addition to any busy cosmetic practice that wants to expand its service offerings to include the most in-demand services. SunrayLaser.com has amazing deals on used Thermigen RF laser equipment with savings that are up to 60% off the original price! See for yourself how much you can save on high quality used laser equipment when you buy from SunrayLaser.com. Looking for pricing information and other details about our selection of preowned Thermigen RF equipment? Please fill out the form below and we’ll provide a fast and free, no obligation quote. It’s an easy and no-risk way to learn more about this outstanding line of cosmetic lasers.